Don Davis Park lies within Newport's Nye Beach district, situated on a 2 acre site with panoramic views of the Pacific Ocean. On a clear day one can view north to Yaquina Head and Lighthouse and south all the way to Cape Perpetua! 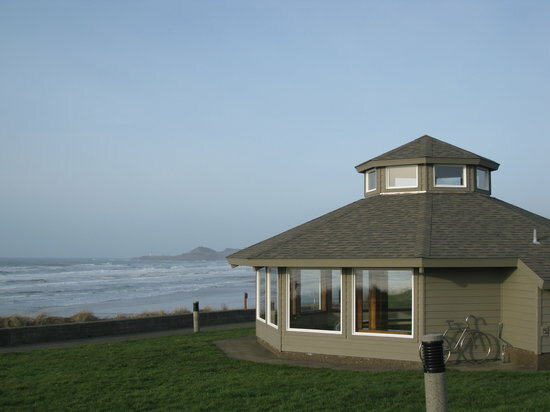 A fantastic spot to view whales rain or shine as the gazebo situated on site has 180 degrees of windows facing the ocean. The park is situated on a bluff, high above sea level for excellent views of the ocean and whales!